You can remember what it looks like but the guy at the paint shop can't supply a tin of "...sort of dsyntry green....." Below are pages of information (and some samples) of older car colours used on the sort of cars I make. Obviously the samples (where available) are for guidance only! Use ther Back button on your browser to return to this page. Browse around and see what you can find. If you have anything to add to any of it please contact me particularly after Ford colours. 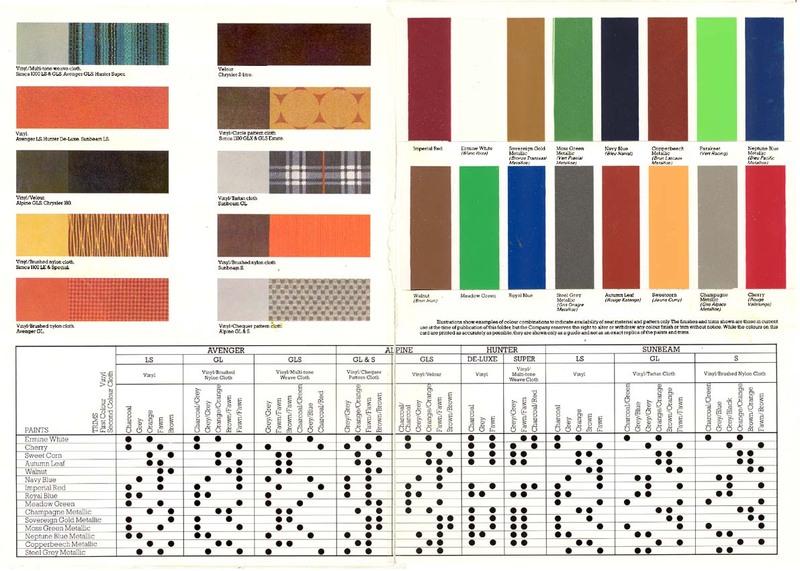 70s BL colours A selection of descritions of some of the colours used by BL in the 1970s, for Austin, Morris, Wolseley etc. 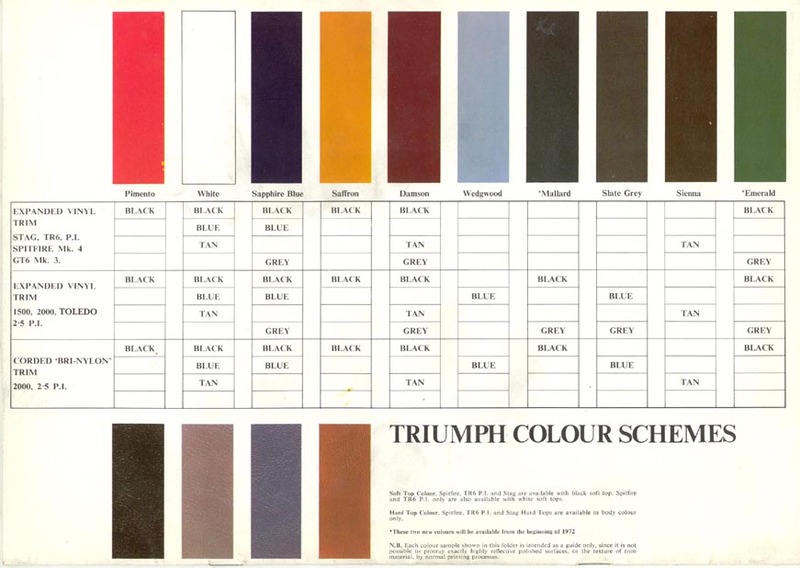 Triumph 1 The 1972 Triumph colour chart, covers Toledo, Stag, Spitfire, 1500 FWD, 2000 MKII etc. Use your back button to return to this site. Chrysler 1 Chrysler colour chart dated 1978, covers Avenger (probably the later face lifted version), Hunter etc. A large file this to keep the text legible, best to save a copy to your computer to peruse at leisure.Use your browsers back button to return to this site. Vauxhall 1 Viva (HB) colour listing from 1968, probably applicable to most other Vauxhalls of the time.Includes interior colours. Vauxhall 2 1974 Vauxhall range, including Viva (HC), Victor, Magnum etc, with interior colours. Vauxhall 3 1978 Vauxhall range, including Viva, Cavalier, Chevette etc, with interior colours.